My late father in-law David Rusk was President of his Rotary Club, and volunteered at a Book Depository where second hand school books are sorted and sent to schools in overseas countries. He made regular trips to Nepal where he worked as a volunteer and provided educational training for teachers, mentored principals and supported children in two very poor and disadvantaged schools. He was responsible for beginning and building a sponsorship program which now ensures that close to 100 children who would never have otherwise attended school now go to Blue Sky Public School in Kathmandu. On one of those trips he met a very special lady called Mother Rajan who is the Founder and Coordinator of the Deprived Women's Upliftment Centre Orphanage in Golfutar, Nepal. The orphanage provides a safe, secure and loving home for about 100 poor, abandoned and orphaned Dalit (untouchable) girls and boys, aged 3 to 17. 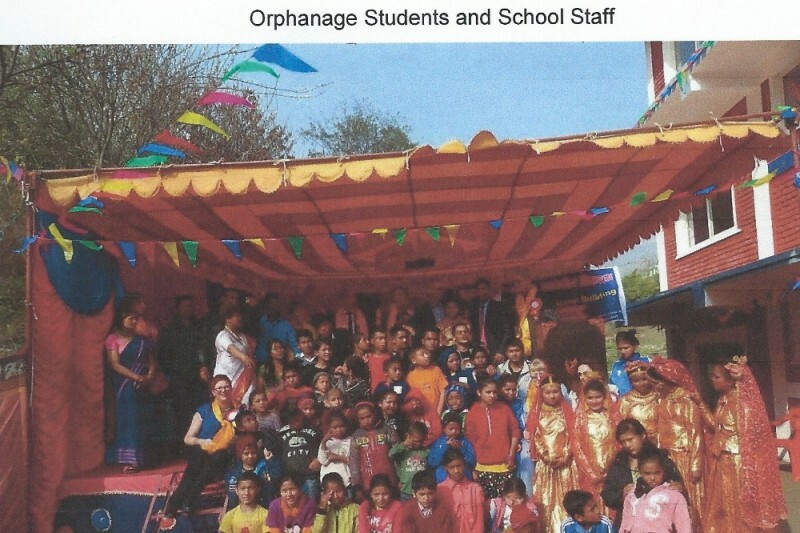 The Orphange children attend a school that is situated near the Orphanage. Mother Rajan's dream was to build a school on the Orphanage grounds. This school would more effectively and sensitively meet the needs of these very special children, who require high levels of educational, social and personal support. Local children would also attend the school, which would have an enrolment of 300 students. The Rotary Clubs of Brownhill Creek (South Australia) and Dillibazar (Nepal) committed to a Rotary Australia World Community Service Project to realise Rajan's dream and to build a school attached to the Orphanage. This also became a dream for my late father in-law David. 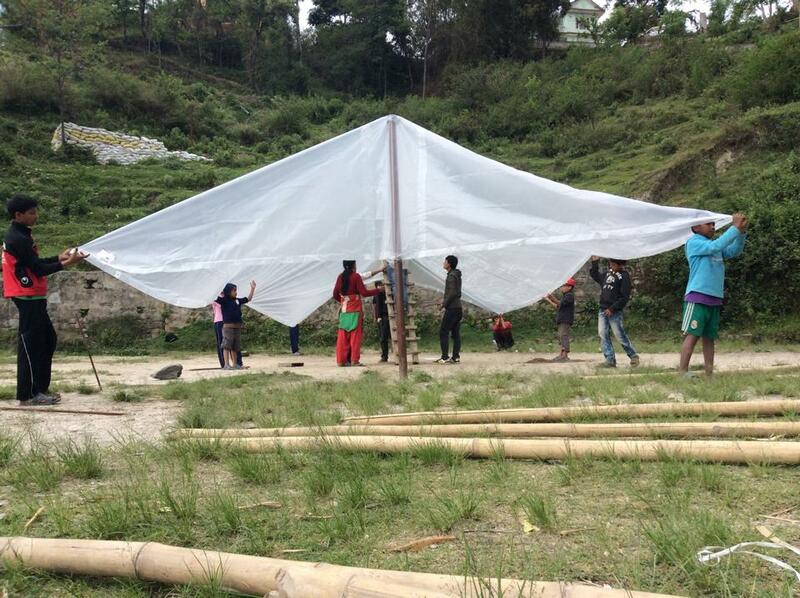 With all of David's hard work and the generous support from family and friends, Rotarians and Rotary Clubs, Pulteney Grammar School, Friends of Nepal Fundraising and Benefactors this dream soon became reality. In Memory of David a party of 11 family, friends and Rotarians who supported the dream of David and Mother Rajan joined 300 invited guests and members of the local Golfutar community to celebrate the opening of the school on Feb 22nd 2015. 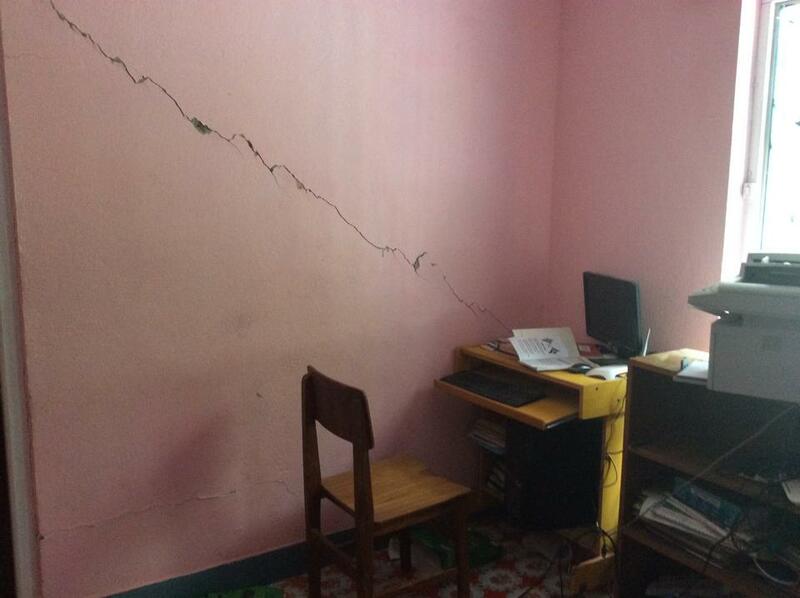 Due to the devastating earthquake which hit Nepal on April 25th, only two months after the opening of the school, we are looking to raise $200000 to go towards the rebuild and repair of the school and orphanage as they have both received significant damage. Thankfully all the the children and Mother Rajan are safe. The children were evacuated to the vegie patch and have been sheltering under blankets as it has been raining. Should the orphanage need to be demolished, it may be impossible to retrieve it's contents prior to destruction and this will bring another level of needed support. Please help us make David and Mother Rajan's dream a reality once again. All funds paid into this account will be administered by Rotary Australia World Community Service. Rotary Australia World Community Service (RAWCS) assists Rotary Clubs in Australia with the development and management of international community service projects. Whether it's projects to help rebuild in the aftermath of disaster, programs to bring education to countries where illiteracy stifles development or bringing health care and medical aid to those who can least access it, RAWCS so often has a hand in helping the world stand on its feet. RAWCS supports Rotary Clubs in sending teams of volunteers to developing countries to provide assistance upon the development of much needed facilities, especially within the health and education areas. The funds will be administered in collaboration with the Rotary Club of Dilibazaar in Kathmandu. This club has already provided significant support in building the Orphanage School, and in ensuring that local knowledge of the situation is taken into account. Just a reminder that all contributions are tax deductible. If you wish to support an orphanage child for upkeep and education you can sponsor a child for $300 a year through the Friends of Nepal group. If you are interested in finding out more please contact me. This money will be administered by the Friends of Nepal through the RAWCS account and the Rotary Club of Dillibazar in Nepal. Sponsors will receive a photograph of their sponsored child and twice yearly reports on their progress. 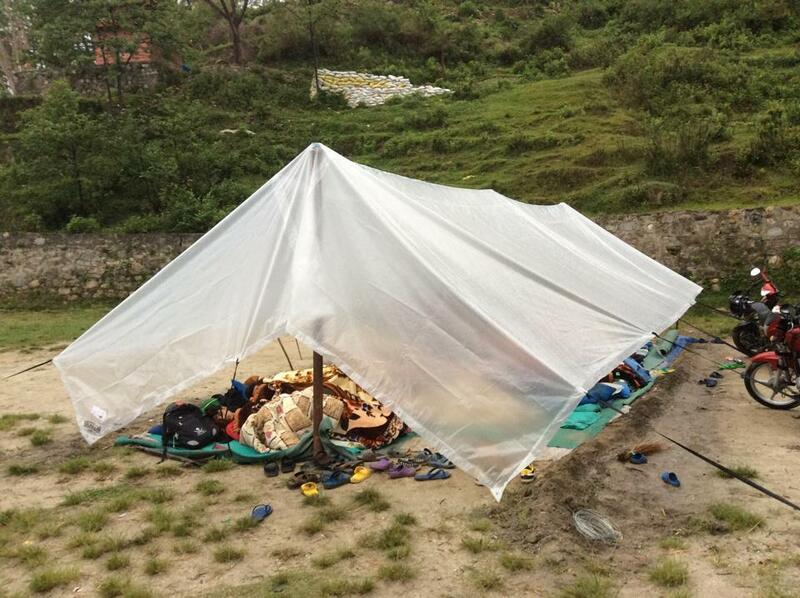 The Friends of Nepal will also hold fund raising events to enable the sponsorship of more children. A heartfelt thank you to everyone who has contributed so far. Also a big thank you for all of your kind words and well wishes, they really do mean a lot. We are well on our way to reaching our goal. Here is a link to the story of Ishwor. The 19 year old man who managed to get all of the 55 children to safety as the earthquake struck. Some of the damage that occurred from the earthquake. A huge thank you to everyone for their generosity and support. This is an amazing effort, my heartfelt thanks goes out to everyone who has donated so far. Keep up the great work!!! Latest updates from Malcolm Lindquist, member of Rotary Club of Brownhill Creek. 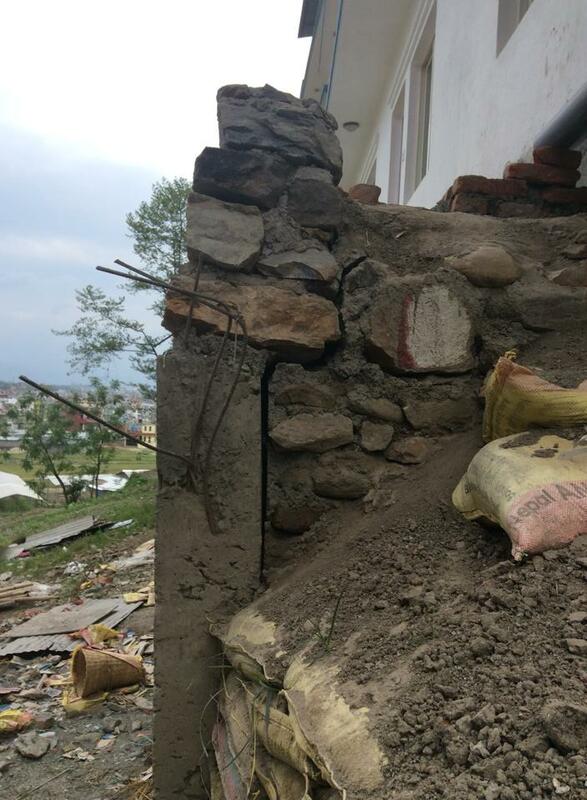 The orphanage urgently needs a retaining wall to stabilise it and the children will need temporary accommodation and emergency supplies. I am writing on behalf of Rotary Club of Mount Everest Lalitpur, Rotary International District 3292. 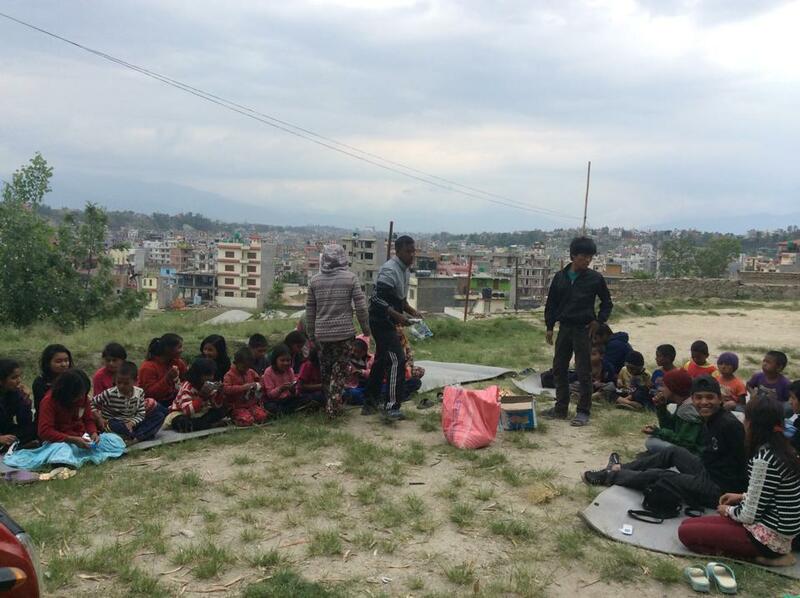 As it is well known to the World, Nepal was struck by devastating Earthquakes in April 25 and May 12 , 2015 leaving over 9000 people dead and 800,000 houses and buildings destroyed. Among them, over 15000 primary schools were destroyed. Rotary Nepal, FNCCI and Government of Nepal had agreed to fund reconstruction of 140 schools, out of which RCME together with Rotary Club of Twickenham, UK and Rotary Club of Aarau, Switzerland will apply for a global grant of US$ 50,000 each for funding the furniture, water supply and sanitation and training of teachers. The Government and FNCCI will fund 2 school construction per club. 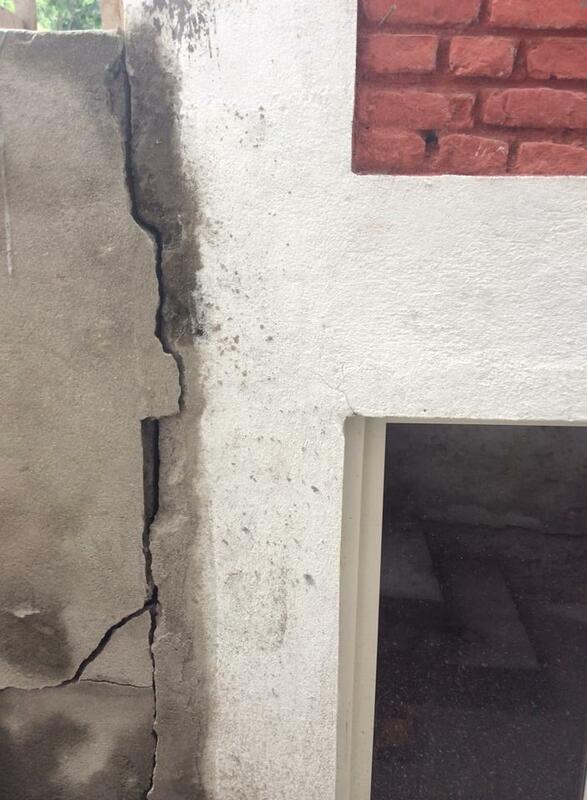 So RCME is looking for donor for reconstruction of School buildings for 8 schools. Please advise if you have access to support the reconstruction of 8 primary schools with 10 class rooms each. Rotary International does not fund for physical construction but for furniture, equipment WSS and Training through Global Grant. RCME would appreciate for any information towards teh access to funding of the school construction.